Traditional Japanese art may please so many of us, even those of us with little interest in Japan itself, because of the way it inhabits the realm between representation and abstraction. But then, it doesn't just inhabit that realm: it has settled those borderlands, made them its own, for much longer than most cultures have been doing anything at all. The space between art, strictly defined, and what we now call design has also seen few achievements quite so impressive as those made in Japan, going all the way back to the rope markings on the clay vessels used by the islands' Jōmon people in the 11th century BC. 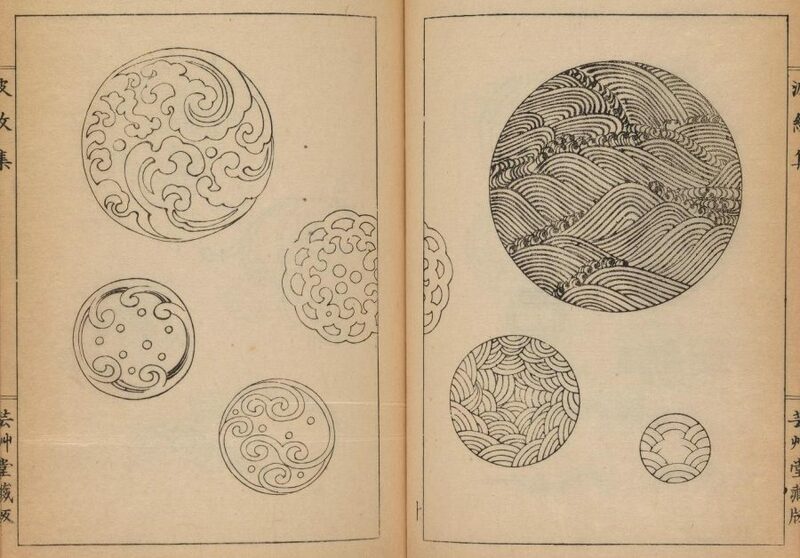 Those ancient rope-on-clay markings can easily look like predecessors of the "wave patterns" still seen in Japanese art and design today. Since time almost immemorial they have appeared on "swords (both blades and handles) and associated paraphernalia (known as 'sword furniture'), as well as lacquerware, Netsuke, religious objects, and a host of other items." 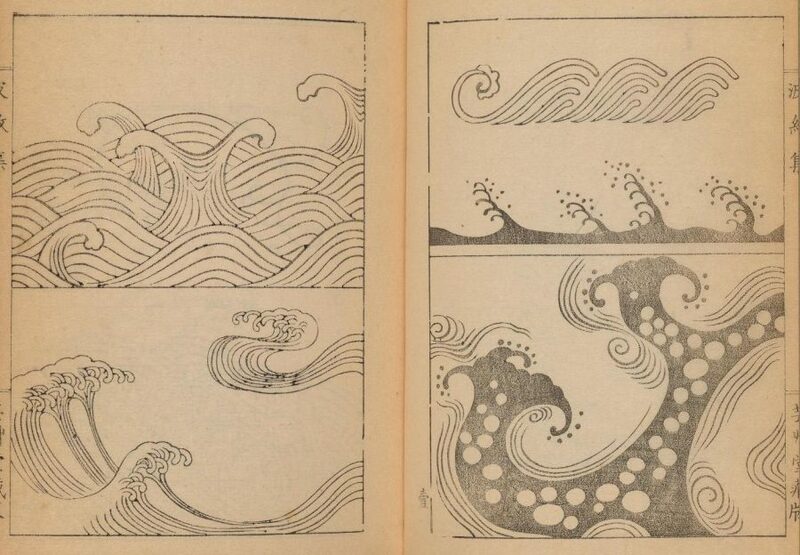 So says the Public Domain Review, which has featured a series of three books full of elegant wave and ripple designs originally published in 1903 and now available to download free at the Internet Archive (volume one, volume two, volume three). 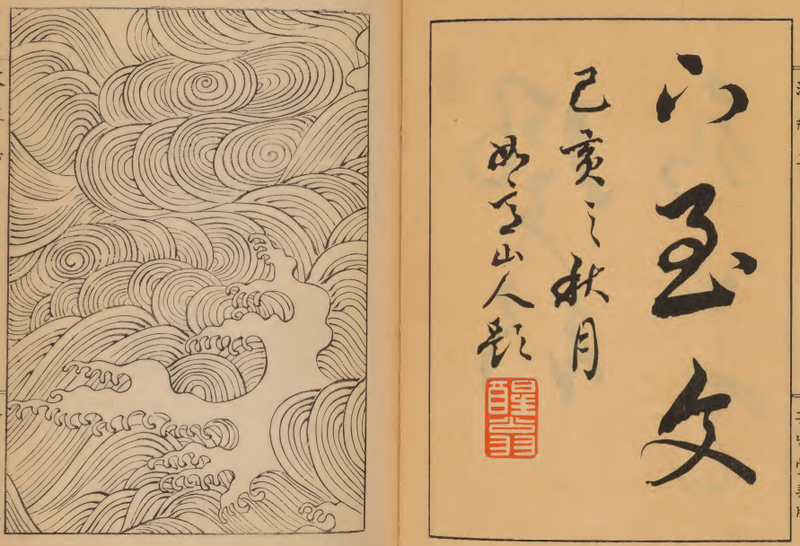 Called Hamonshū, the books were produced by the artist Mori Yuzan, "about whom not a lot is known," adds the Public Domain review, "apart from that he hailed from Kyoto, worked in the Nihonga style" — or the "Japanese painting" style of Japanese painting, which emerged during the Meiji period, a time of rapid Westernization in Japan. He "died in 1917. 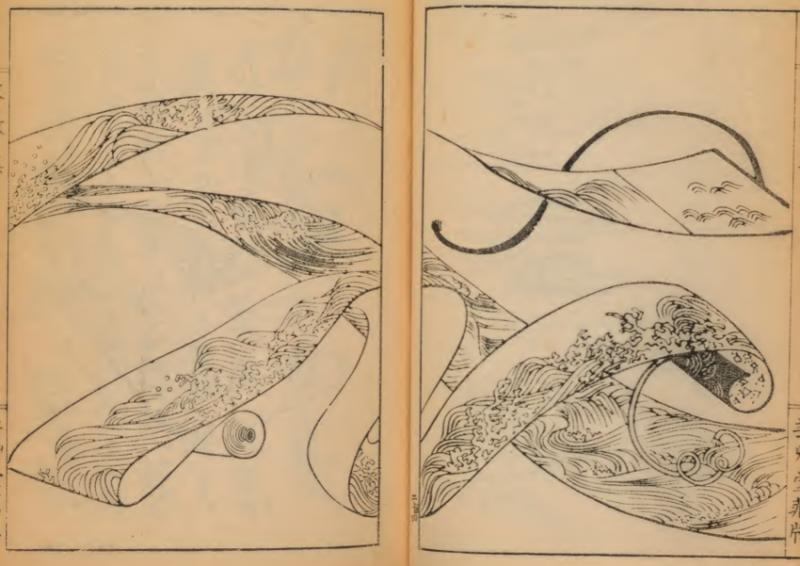 The works would have acted as a kind of go-to guide for Japanese craftsmen looking to adorn their wares with wave and ripple patterns." Though they do contain text, they require no knowledge of the Japanese language to appreciate the many illustrations they present. 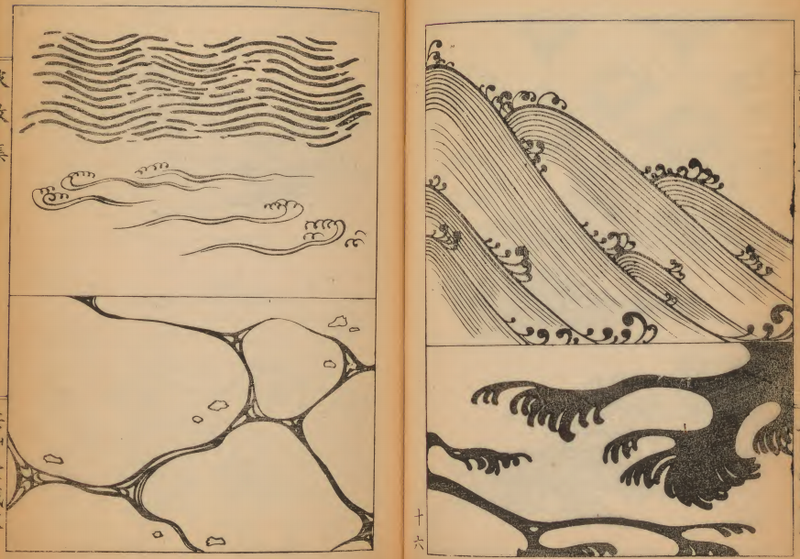 Taken together, Mori's books offer a complete spectrum from traditional Japanese-style representation — especially of land, water, mountains, sky, and other natural elements — to a taste of the infinite variety of abstract patterns that result. 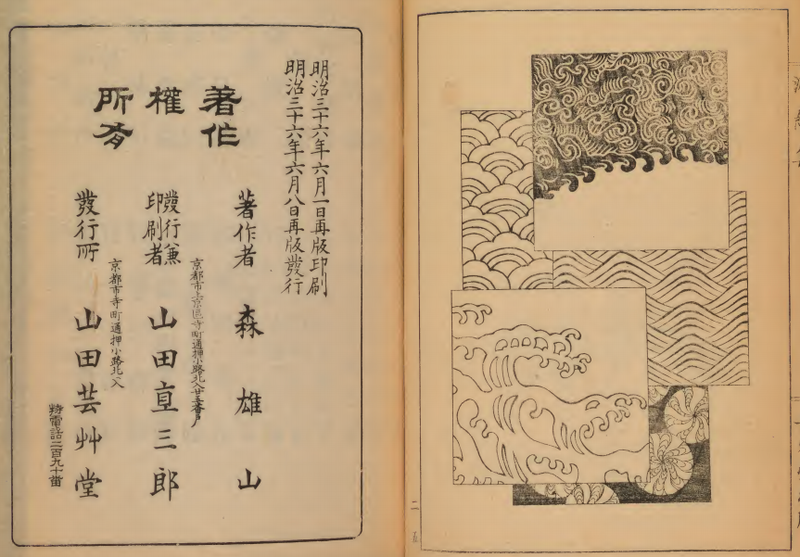 Such imagery remains prevalent in Japan more than a century after the publication of Hamonshū, as any visitor to Japan today will see. 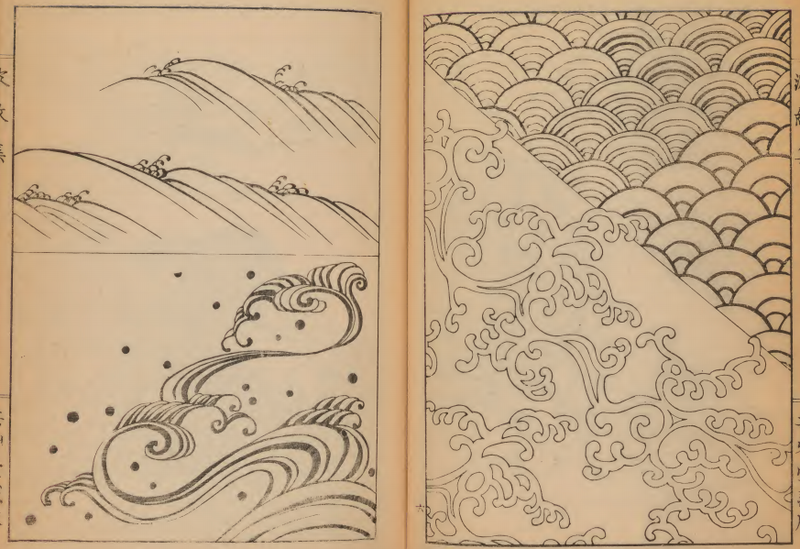 But now that the Internet Archive has made the books freely available online (volume one, volume two, volume three), they'll surely inspire work not just between representation and abstraction as well as between art and design, but between Japanese aesthetics and those of every other culture in the world as well.